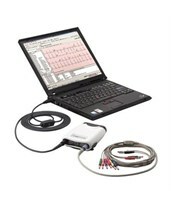 Electrocardiography, or the measurement and interpretation of the electrical activity of the heart, is a vital component of many standard diagnostic testing procedures. 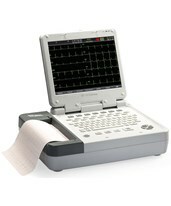 An electrocardiograph, better known as an EKG or ECG, is an external device that records cardiac activity over a period of time for analysis. 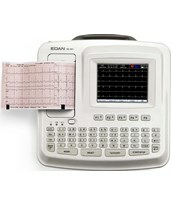 Tiger Medical Supplies offers a full line of EKGs, ranging from simple, portable devices to full-sized exercise monitors with equipment. 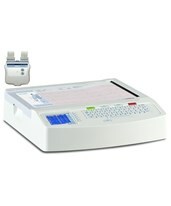 Diagnostics leaders Omron, Cardiac Science, GE, and Welch Allyn present high-quality, user-friendly, highly accurate EKGs to suit a wide variety of needs and budgets. 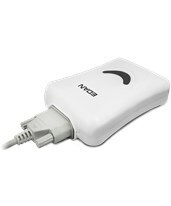 Omron’s ECG Monitors are portable, cost-effective and lightweight devices that are recommended for home use. 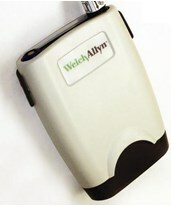 Welch Allyn’s CardioPerfect™ Workstation resting and exercise EKG modules decrease the redundant work steps, transcription and other human errors, loss of data, and general waste of precious time that often come with typical printed EKGs. 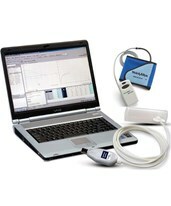 The PC-based EKGs allow users to automatically transfer patient information and test data into most EHRs, sync with other types of cardiopulmonary test results and save, share, and print data for thousands of patients, resulting in clinicians spending less time documenting and more time with patients. 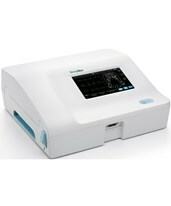 Cardiac Science produces a line of efficient, user-friendly EKGs with sophisticated software and a variety of options to meet different users’ individual preferences and streamline workflow, increasing efficiency. 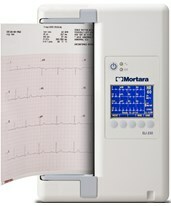 All Cardiac Science EKGs are EHR-compatible. 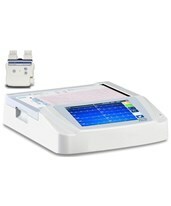 GE's portable MAC™ resting EKGs are sophisticated yet simple devices designed to withstand heavy and mobile use. All three models are lightweight and feature a built-in carrying handle. 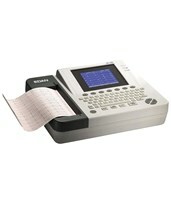 The purchase of an electrocardiograph can be confusing and complicated, but we at Tiger Medical Supplies understand this challenge and are here to make it easy. Our comprehensible, detailed product descriptions and capable, friendly and knowledgeable sales staff will assist you in selecting the right model and configuration you need, at the price you want, without any hassle. 110 Va High Resolution LCD 2 Years 5.8 lbs. 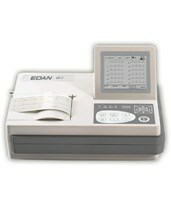 0.05 to 300 110 VA High-Resolution Color Touchscreen LCD 3 Years 12.5 lbs.